Will the next generation of instructors be positioned to take on leadership positions when called to do so? Or have problems in skill transmission handicapped them and risked the integrity of future generations of aikido practitioners? 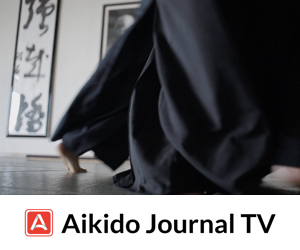 George Ledyard (7th dan Aikikai), one of the most senior instructors under Mitsugi Saotome, talks with Aikido Journal about the critical role of the uke and focused instructors training programs for optimal skill transmission in the art of aikido. Great conversation, particularly about ukemi. Thanks for sharing. Really interesting… touching on a lot of points, feelings and concepts that I have encountered as a teacher and practitioner in our art. I have naturally explore lots of the ideas and concepts you have talked about and it is very refreshing to hear these issue discussed and expressed in this podcast. George Sensei is one of the most methodological thinkers in ASU, and spends a lot of time considering and exploring how to structure teaching and transmission. 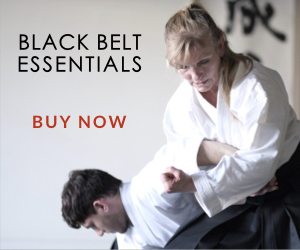 He can be exceedingly fast, very powerful, very martial – but if you train with him or take one of his seminars you’ll be impressed by his subtlety, softness, and ability to articulate difficult concepts. 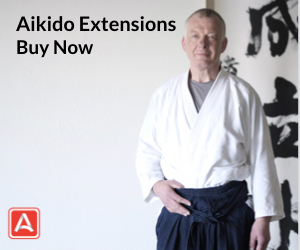 The fine balance between resisting and tanking is a difficult but critical topic in aikido. It probably can only be felt, following the path of good examples of people we see and train with. 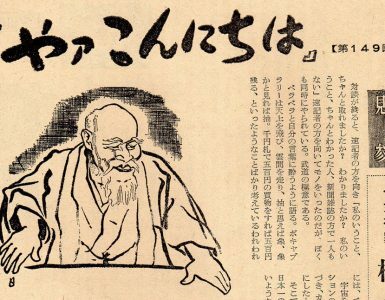 While we do not have access to O Sensei, and most aikidoka have limited to no access to his direct disciples, we are in an era where we have more models for understanding the process of learning and skill acquisition than ever before. There is plenty of room for innovation in the realm of skill transmission. The limited attendance intensive is a useful model, and probably closely mirrors the tight, personal environment of the early training under the Founder. 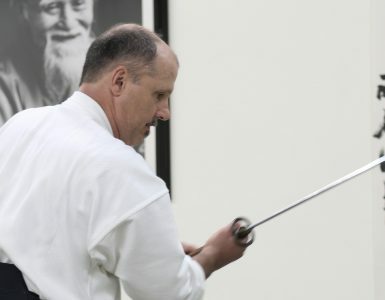 Ledyard Sensei, like Stan, approaches aikido very seriously and insightfully, and yet is always able to make training enjoyable. His workshops attain a level of koryu focus and micro adjustment necessary for really advanced training. For those beyond the beginning level, it is really the best way to see the potential of what they are doing. 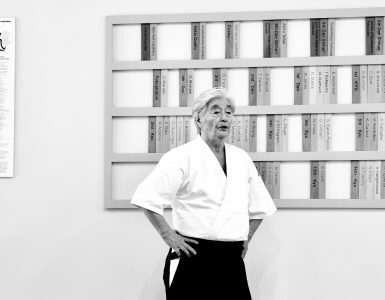 The other way is to watch (or train with) masters like O Sensei, Saito, or Saotome and applying really advanced observation skills – which also require development and training – AND which you can also pick up at George’s seminars by watching and interacting with him. 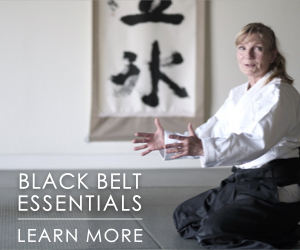 Ledyard Sensei’s methodology is as valuable as his technique and both are worth modeling. 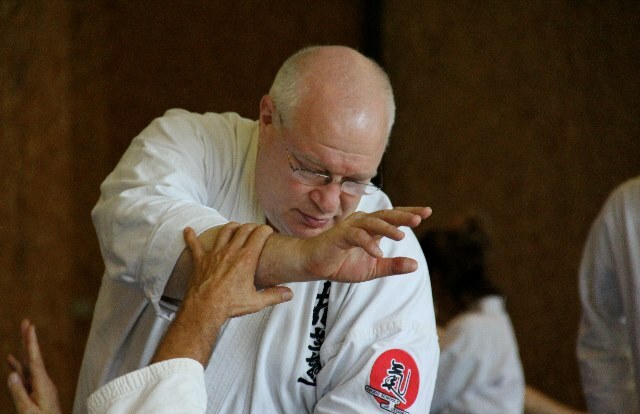 Also, worth modeling is the ukemi methodology practiced by Dan Messisco Sensei, who was mentioned. His approach to hyper-aware and adaptable ukemi really reveals that ukemi is harder than dori (tori/nage) and just one opportune moment away from switching one to the other. Kudos, Josh, please keep it up.